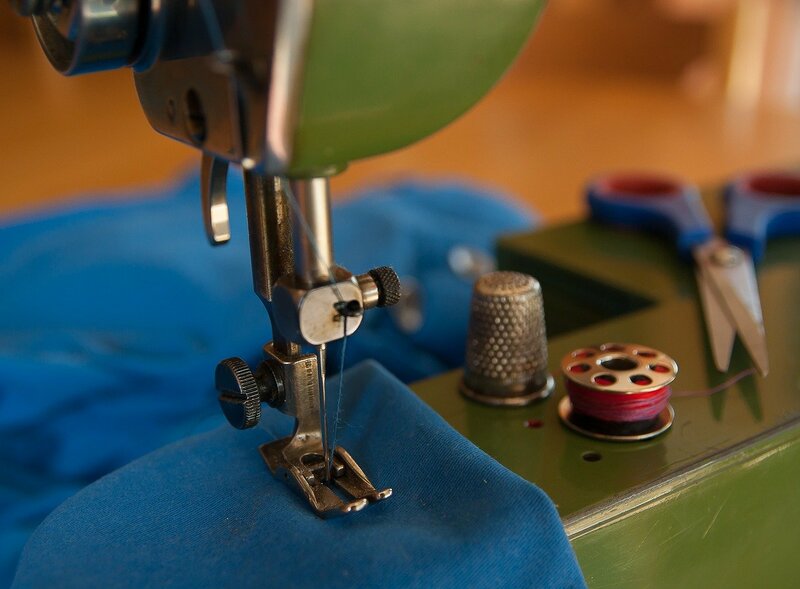 First class is for student to become familiar with the sewing machine. Swatches are distributed for the students to learn sewing straight, using zig zag stitch, reverse stitching and keeping seams even. Then precut project materials are distributed for a calico squares pillow with top stitched rick rack and short course on hand stitching to close out pillow. Button is applied to pillow to help show the student how a button is sewn by hand. 2nd class is a patterned pillowcase with complimentary edging sewn with french seams. Students will use small iron to press seams. Ironing pad used to cover table. 3rd class is pajama capris with elastic waist and lace leg edgings which teaches pattern layout, cutting, measuring, inserting elastic, zig zag finishing technique on seams and top stitching lace edging to legs. This is the hardest class for them and each student is given a paper pattern made to their measurements. All machines and materials are supplied.